The main goal which Sri Lanka currently has to achieve is accelerating its economic development process, said Prime Minister D.M. Jayarathne. The Prime Minister made this statement while addressing the 6th Business Forum which commenced yesterday for China and countries in the South Asian region. The Business forum commenced at the Haigeng Convention Center in Yunan under the patronage of Prime Minister D.M. Jayarathne. The Premier delivered a lecture on the trade and investment process of China and South Asian countries at the occasion. 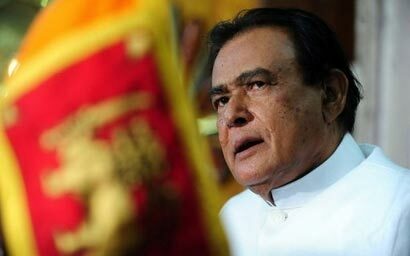 Prime Minister stated that with the end of terrorism, Sri Lanka has now become a peaceful nation. The Prime Minister added that since Sri Lanka has raised its head as a nation and is initiating an economic development process, it has paved way for numerous investment opportunities for prominent investors in the world. This guy is a true buddhist leader handpicked by his Excellency Mahinda Rajapaksa. His contributions to SL’s welfare in the post-LTT era are extremely significant. In the period commencing Sept 2011, the astrological influences impacting on DM’s career point to a significant eleveation and associated responsibility. While all peace loving Sri Lankns would like to have Mahinda’s leadership continue for ever and for ever, true buddhist leaders should be given more reponsibility to accelarate social and economic development. The critical social issues concerning the Kalla-T’s needs resolution. With Big Mama at the helm in TN, SL should use this significant window of opportunity to mass expatriate the Kalla-T’s to TN. DM has the leadership potential and the intellectual brawn to drive this solution.